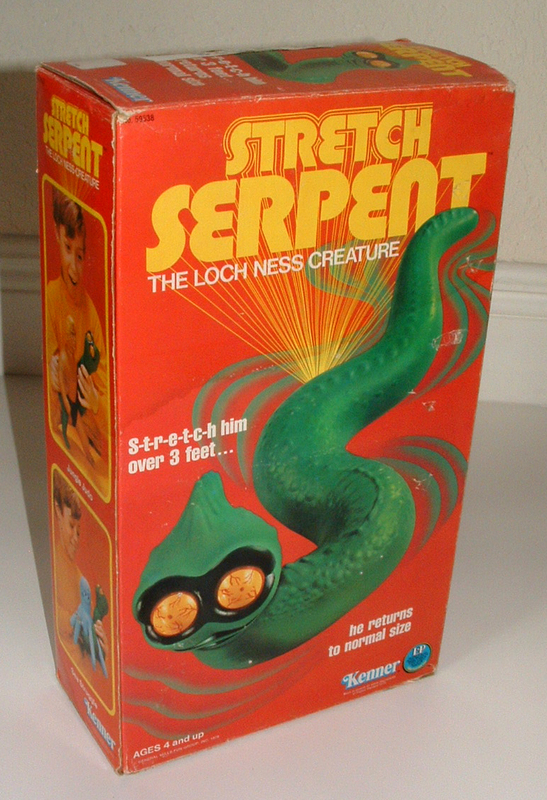 Stretch Armstrong Serpent on eBay! Okay, I don’t usually point to ebay auctions, but this is one case where I think it’s worth sharing. Stretch Armstrong is a fabulous toy from the 70s. He stretches! He’s strong! and he had AWESOME enemies, like the titular Serpent, a Sears catalog exclusive. The super fine MIB specimen currently up on ebay was owned by a Sears exec who had a hand in bringing this particular exclusive to life. If you want it, better have deep pockets though! As of this writing it is selling for a whopping $9,000 – but it hasn’t hit the reserve yet! Want to own a pretty rare piece of 1978 Kenner toy bliss? Sell your car and pick up this toy!